The Storytellers – Grab a cuppa, tell a story or listen to one. The 50th story at Chatoveracuppa. We share this story because many have asked “Why Chatoveracuppa?” “Who is Chatoveracuppa?” What better way than a story to tell you all of that. So put your feet up; settle down with your cuppa’s as we begin to tell you the story. 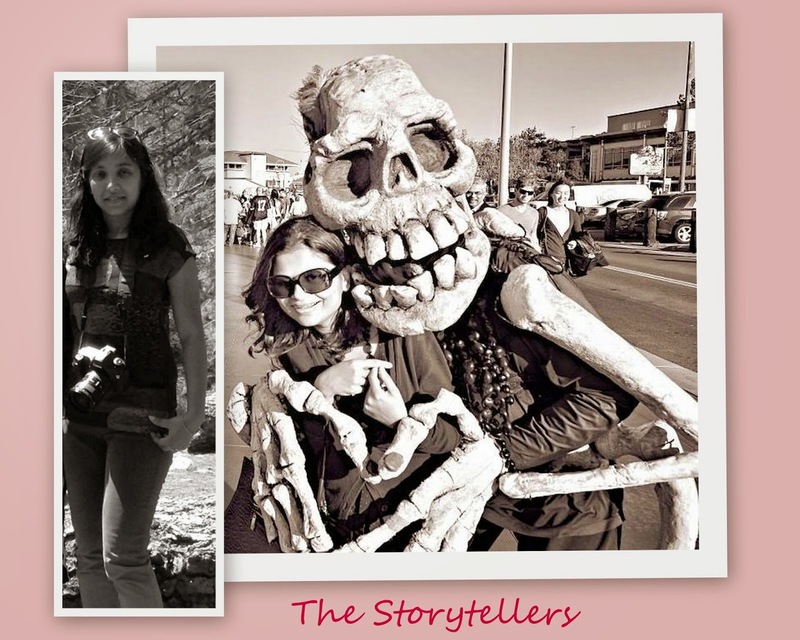 The story about two people who are madly crazy about capturing life in stories, pictures and anecdotes. We do this while keeping pace with our lives and drinking our countless cuppas in the day. That is us. We met each other for the first time at a common friend’s place for tea. That was our first rendezvous over a cuppa about a decade back. She sat in a distant corner with her two kids perched on her lap. I sat on a corner on a couch by myself, still not a mother then. We exchanged smiles and glances for a good few hours amidst sounds of muffled conversations in the room. But we did not exchange a single word. We have vivid memories of that day. It was only many years later that we discovered how shy and hesitant we both were by nature. That first meeting was soon followed by many more rendezvous, just that they got different over time. Conversations eventually started trickling in. And over many steaming hot cuppas, we found our common grounds. Our similar upbringing, our love for reading, our hesitant natures, our stories of motherhood, our style of parenting, our sentiments towards causes, our perception of life in general and most importantly our passion for storytelling. We realized we are both dreamers. We are people watchers. We are the silent ones in the room that observe people and collect stories. Each one of us does it in a distinct way though. One of us captures a frame, seals the moment in a picture. The other one does it with words, phrases and dialogues. Every once in a while, we have stepped out before and shared our stories with the world. Sometimes quite unknowingly, we would realize that sparked an inspiration or said a story that flooded someone’s memories and stirred nostalgia. We felt humbled and then went on with life again. Until one day, out of a blue, from nowhere, a thought triggered. If we had stories to tell, there were so many others who did so too. What good does a story or a conversation do if it gets killed in a hallway, alley or a living room? Stories are meant to be told, to be shared and not to be confined. With that simple thought, Chatoveracuppa was born. Two extremely shy people stepped out to the world, took aid from social media and formed Chatoveracuppa. We invited friends and family and the world to join us over a cuppa and share their stories. People say stories have to be profound; we believe it has to be heartfelt. It has to be found in our everyday life just as we both do amidst our work deadlines and sales presentations, soccer practices and piano recitals, volunteering at school and chauffeuring kids around, running a house and paying the bills, completing the science project or finishing a craft work, at the dinner table with the kids and most often over a cuppa with the spouse. The latter is where we usually discuss the first draft of our stories, with our editors at home. This is where most of our stories stem from. These are real stories about us and our life, past and present. Our storytellers have been very similar to us. Dreamers and observers, who have the inane ability to weave a story from the day to day life with the finesse of an artist. Today, just 50 days later because of those amazing storytellers and our shared passion, we have heard and shared 50 stories. One story a day. Stories shared by our family, friends, little children, fellow bloggers and total strangers. You made us realize that there was so much to tell and share, so much to see and learn and so much more to explore and experience. And so the journey continues. Storytelling has not lost its magic. Stories inspire. Stories touch hearts. Stories humor us. Stories humble us. So let’s continue to read, tell, share and chat over a cuppa!